I thought I had a good brush until I received this. Great size, backbone and soft, so soft. 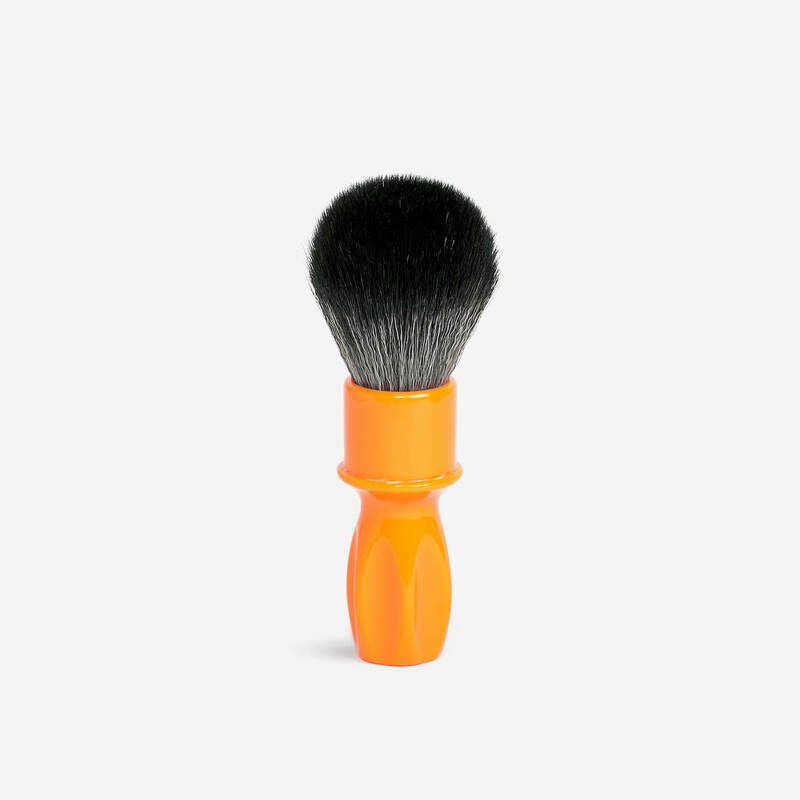 After years of using crappy brushes I had thought my omega boar hair brush was brilliant, then I bought this and realised how good a brush could be, tons of really rich lather makes each pass so much smoother. Excellent service from the shave lounge too. Incredibly good and practical shaving brush from Razo Rock, great color and appropriate shaft length. Amazingly fond of it. I’ve quite a collection of brushes, mainly silver badger and boars hair but thought I’d try artificial for a change. Seriously though, this is a top not brush which delivers perfect results every shave, I also have a bit of a soft spot for RazoRock, their products are world class and until now incredibly hard to get hold of, thanks Shavelounge!